Last month, quiet beachfront communities on both sides of the North Sea were rocked by the sight of sperm whales washing up dead on their shores. It was one of the largest strandings in recent history—but according to marine biologists, there may be an upside. Jepson is one of the pathologists leading the investigation into the deaths of five juvenile male sperm whales that washed up recently on beaches in eastern England. A rare and dramatic event, whale strandings always attract local attention. This one, however, garnered international notice, because it followed on heels of a dozen sperm whale strandings on German and Dutch Islands across the North Sea. But despite concerns that there may be some sinister factor behind the deaths—a new disease, or a chemical pollutant—all of the investigations are coming to a rather simple conclusion: the North Sea is a sperm whale death trap. One of the juvenile male sperm whales that washed up on the shore of eastern England last month. 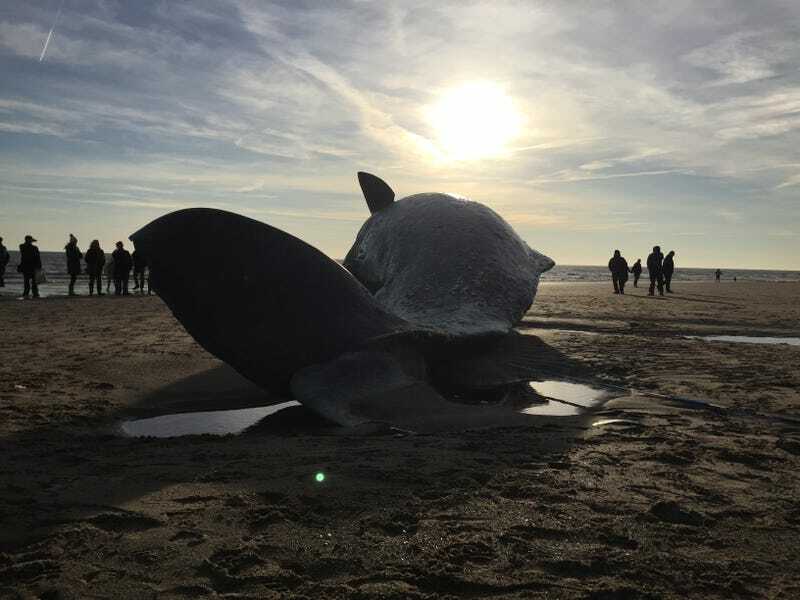 Why these whales entered the North Sea’s shallow waters, and whether all the strandings are connected, is unclear, and Jepson is doubtful that his team’s post-mortem is going to offer answers. “As pathologists, we can only see the end stage when these animals have died, and there’s no test we can do to tell us why they entered the North Sea in the first place,” he said. But events like this are not all doom and gloom. In fact, they can be a strong indicator that whale populations are recovering. That international whaling moratorium, Jepson said, has also been a boon for sperm whales, whose numbers were decimated by commercial whaling in the early 20th century. But sperm whales are slow-growing, slow-reproducing animals that don’t come to the surface often, and signs of population recovery have been limited. Not only does the recent stranding give biologists hope that sperm whales are indeed making a comeback, it raises public interest in marine conservation.